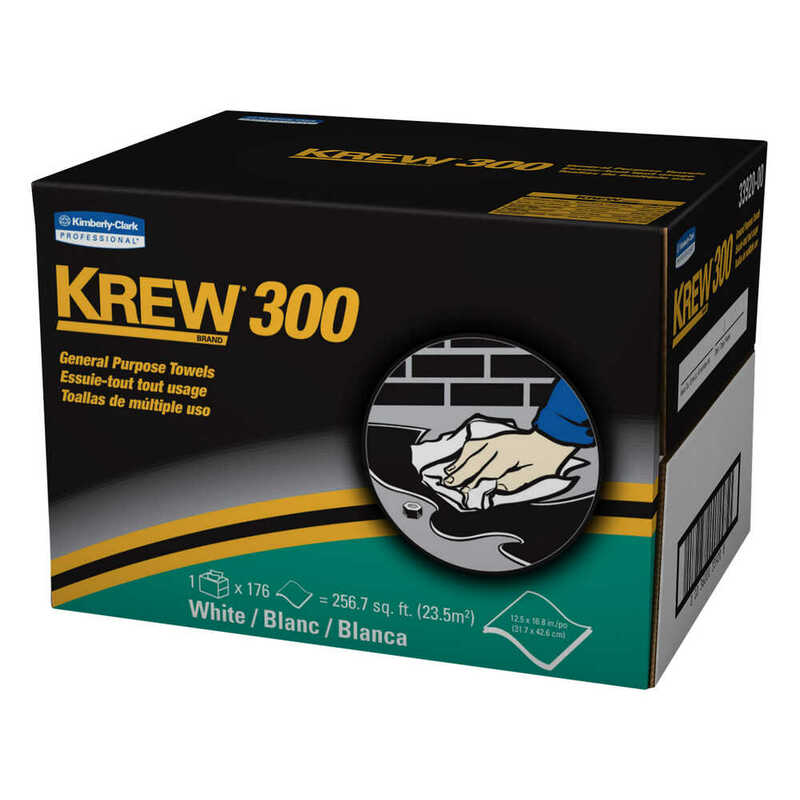 Krew 300 General Purpose Towels deliver value and versatility and can be your go-to wipe for reliable performance on everyday wiping tasks. These wipes are made of bonded cellulose using DRC (double re-creped) technology for strength, softness and absorbency. They are 2-ply for strength and absorbency and are a popular choice for just about any wiping task around the garage or shop. Designed for single-use cleanup, they contain no binders or glues and are textured for extra cleaning power.